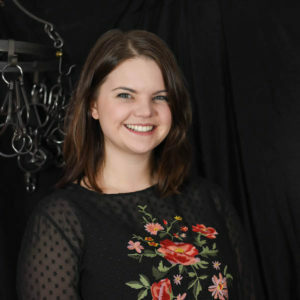 Kayla joined the Escape Industries team in January, serving all three locations (New Haven, Providence, Rhode Island and Sacramento, California) with the goal to improve our web and social presence, among other things. In 2013, she played her first real-life escape games at Mr.X in Shanghai, China, before there were many escape room facilities in the U.S. When Kayla returned stateside to finish college (in Burlington, Vermont), she dreamt of starting her own escape room company. She loved how it could bring people together — escape games promote team building, creative thinking for problem-solving, communication (even with a language barrier), and leadership — no matter if it is a group of friends, family, colleagues, or total strangers. Kayla is so pleased to see the escape industry growing in the States, and be part of the ENH team. 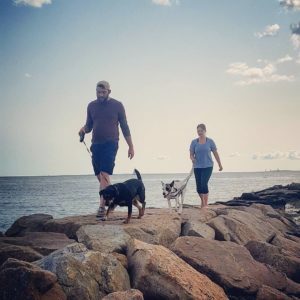 Kayla is a Connecticut native, and commutes weekly to New Haven from southeastern Connecticut where she lives with her husband and two dogs, Maybelline and Marty [McFly]. She’s thrilled to have a reason to get over to New Haven (besides Ikea and New Haven-style pizza) and explore all it has to offer! When not doing Escape work, you can find Kayla out and about pouring/selling craft beer, wine and spirits for various New England-local companies. She also does a lot of freelance marketing and graphic design work for small businesses, serves on several boards, and is the vice chair of Young Professionals of Eastern CT. Busy bee! She also loves group exercise classes, restoring old bicycles/furniture, singing in the car, drinking coffee, and really good food! Her favorite games include 7 Wonders, Citadels (which she learned at the Escape New Haven retreat! ), and good old-fashioned card games (Pitch, anyone?). Although she did play PC escape room games as a pre-teen, she didn’t grow up with video games in the house and is not a “gamer.” Oh, and fun fact: she’s never read/seen Harry Potter or Star Wars. Whomp.